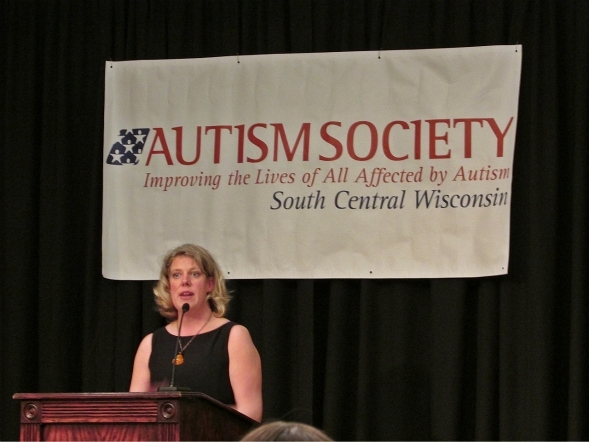 On April 5, 2013 was the 3rd annual banquet of the Autism Society of South Central Wisconsin. 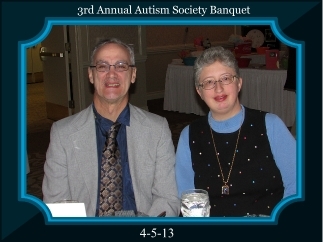 This banquet features important guest speakers from the autism community. There is also a raffle since this event is also a fundraiser. My husband Al Kutil is a member of the Board of Directors, which includes a representative who is on the Autism Spectrum. 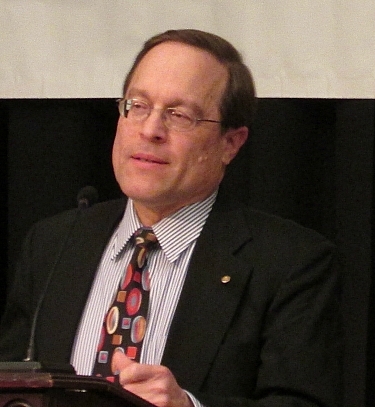 He has Asperger’s Syndrome, a mild form of autism. 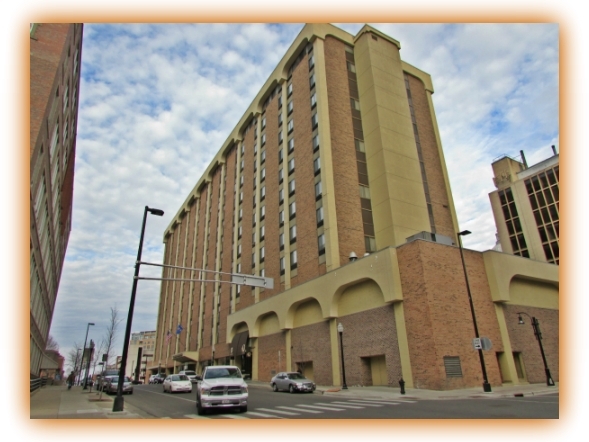 The banquet took place at the Concourse Hotel in downtown Madison. The President of our chapter is David George; unfortunately he wasn’t able to attend since he no longer lives in Wisconsin. The board Executive Director Susannah Peterson ensures all his directives are carried out. When David was our local Meteorologist, he wore a different tie every day that was sold to raise money for Second Harvest. 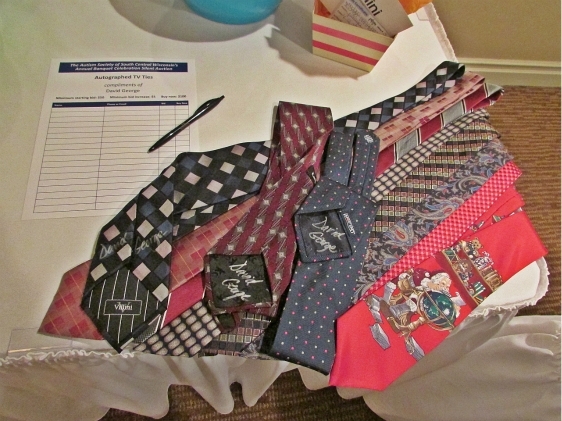 He had an array of ties he contributed to the raffle. 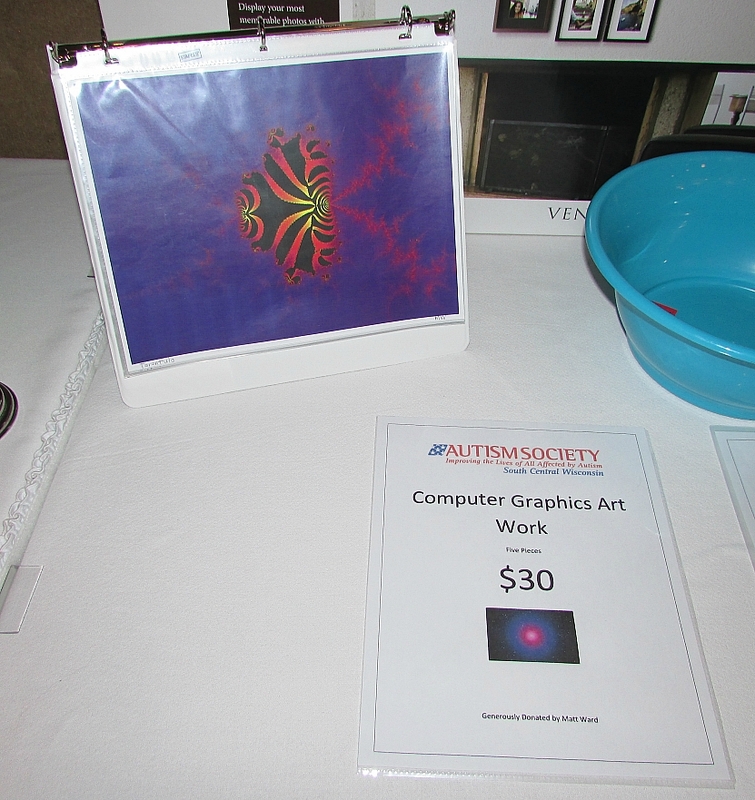 One of the members of the AUsome Adult group also made a contribution to the raffle, Matthew Ward. 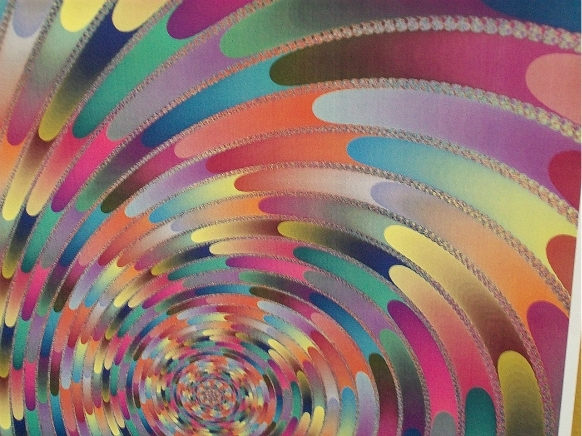 He is an artist, specializing in fractal art and origami. 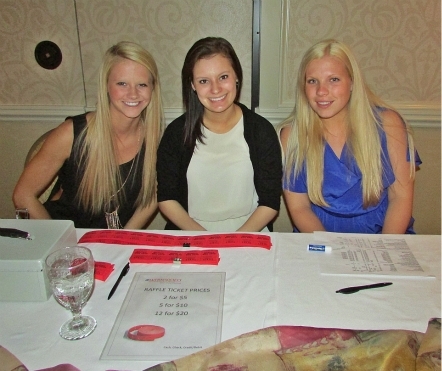 Assisting in the smooth operation of the raffle is the group from the University of Wisconsin, Badgers With a Heart. 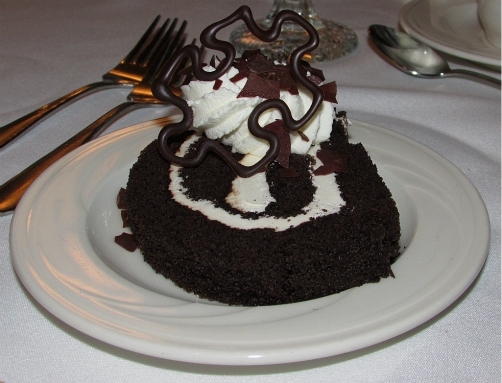 At 7:00 we enjoyed a delicious dinner, and the dessert was a special treat, chocolate cake with the puzzle piece, a symbol of autism causes. Susannah Peterson led off the presentations. 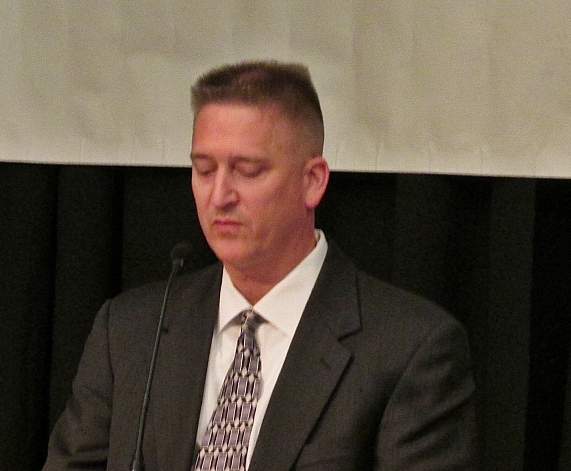 Thomas Heibel began the evening by reading David George’s address to everyone. Very inspiring speech. 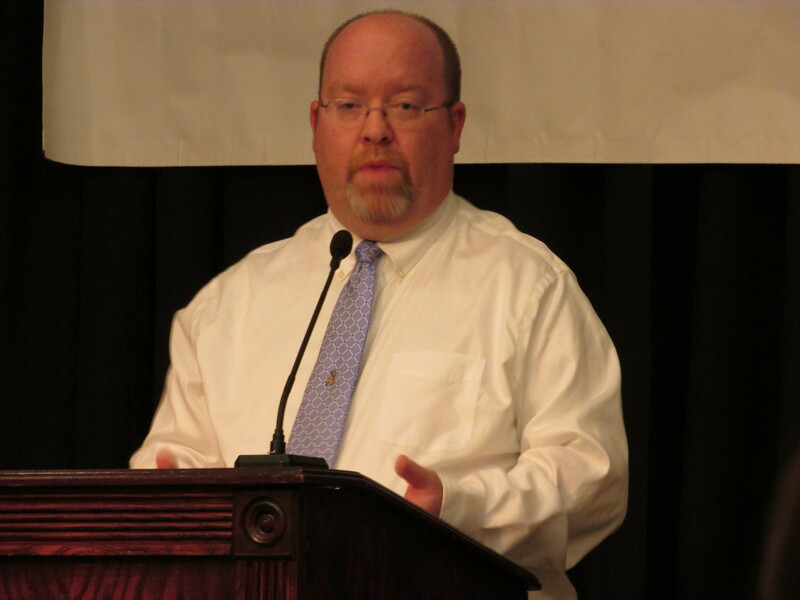 Next was Steve Goldberg, Executive Director at Cuna Credit Union in Madison. Our next presenter was Karl Pierick, Intake Coordinator of Imagine a Child’s Capacity. 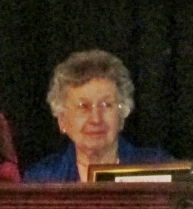 We were also honored by the presence of Fran Bicknell, the co-founder of the organization. 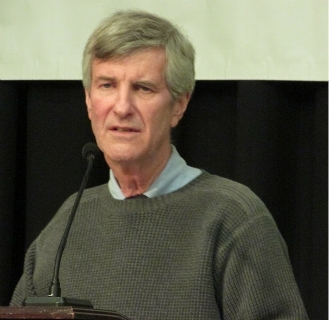 Lastly, Dr. Glenn Sallows of the Wisconsin Early Autism Project (WEAP) gave us his insights of his research. We thoroughly enjoyed our evening and we’re glad we could attend this very important event. A good time was had by all. Looks like you had a great night. Love the photo of you both!